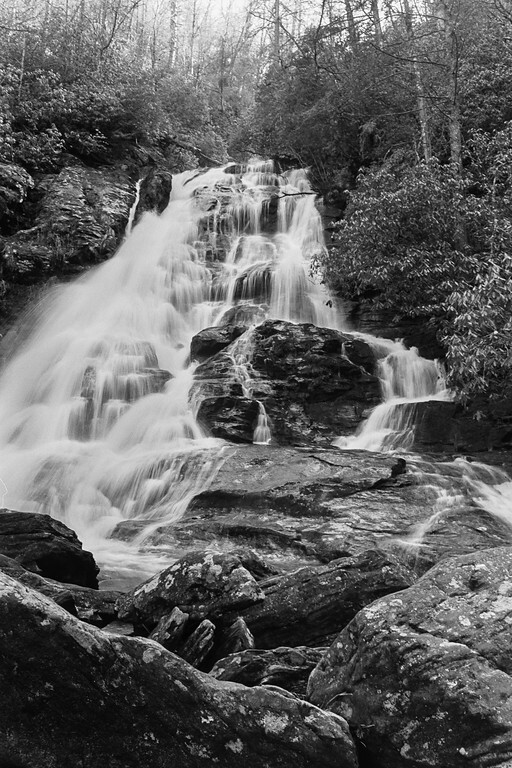 So, in a long delay from my last post, I will share a recent trip with my wife to High Shoals Falls and what I have been up to as of late. I will start with what I have been up to. This fall has been busy and this winter, well, it has been dreary. This fall had Tammy (my wife) and myself making a trip to Yellowstone and Grand Tetons for week. This was fantastic, a true dream trip come true. I hope to post some images and thoughts on the parks in the not so distant future. In addition, I was printing heavily and matting these prints in preparation for an art gallery showing. This was a monograph of the South Cumberland State Park, a project I have been working on for 10 years of which finally came to fruition. I feel it was a success and I may post some media about it in the future as well. With all of that said and done, this winter has been dark and gloomy, especially the last month…non stop rain. January was frigid and I was able to get out and capture some frozen waterfalls. Lately, I have been taking advantage of the gloomy weather and shooting a lot of B&W. 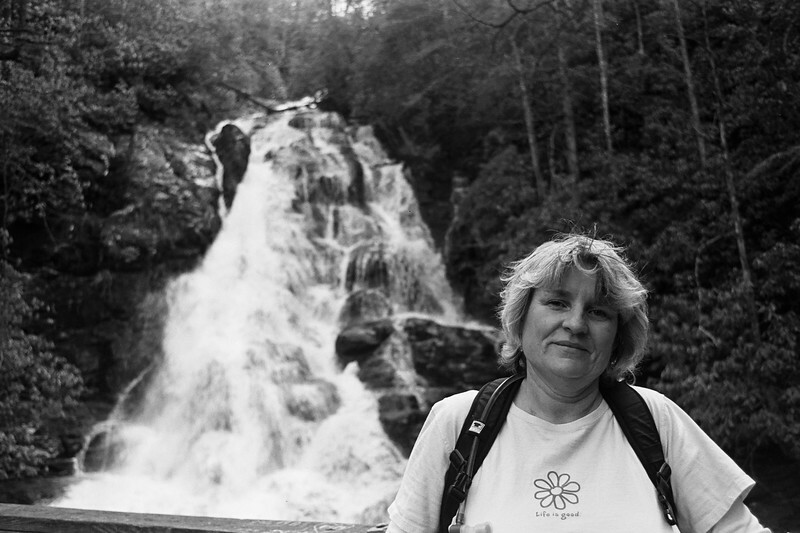 I have found my new high speed film/developer combo that I love, Kentmere 400 @ 800 in diafine. I have also been shooting a bunch of delta 100 and working on fp4+. Additionally, I have been focusing on a tublr blog of another monograph of the forgotten backroads of middle TN. Please check it out as I am adding content constantly. Abstaining From Forgetfullness . This is a project that is finally finding it’s voice and I am unleashing my 5-6 years of archives to this. I may talk about this in more depth in a day or so. Now on to my next paragraph. 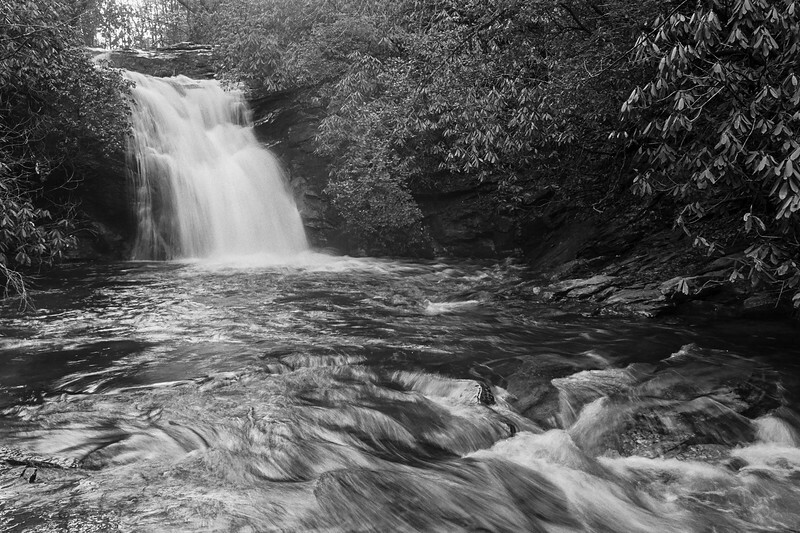 High Shoals Falls…my wife sent my a link on FB about some waterfalls she wanted us to visit in north Georgia. Being that she has started a new job and works weekends, our trips together have been sorely neglected. However, she did ask off for a weekend and we went exploring. 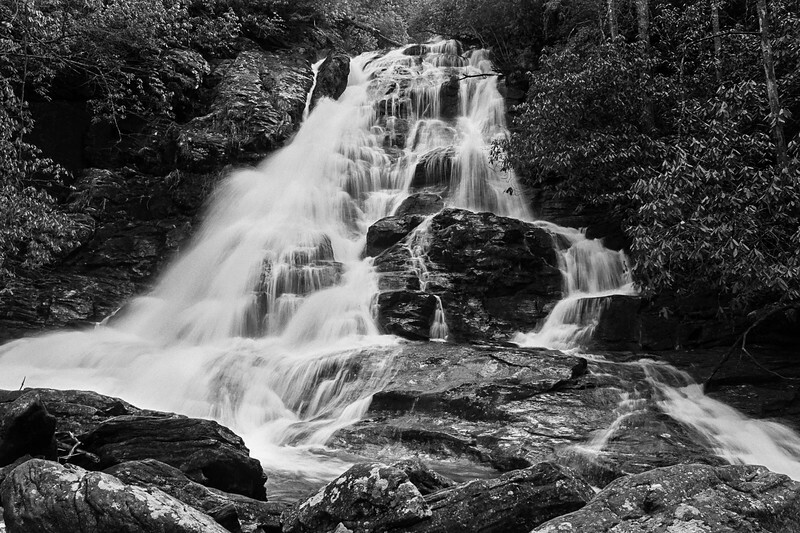 High Shoals Falls which is near Brasstown Bald (highest point in GA) is located in north GA. A lovely hike, not to long descended into a picturesque setting. I knew the sun would be in and out so I wanted a film that would give me great resolution but was not overly contrasty in nature. I chose Ilford FP4+ and I believe it was the right choice. Developed in d-76 1:1 and scanned on my Kodak Pakon f135+, the images I believe came out well. Enjoy!